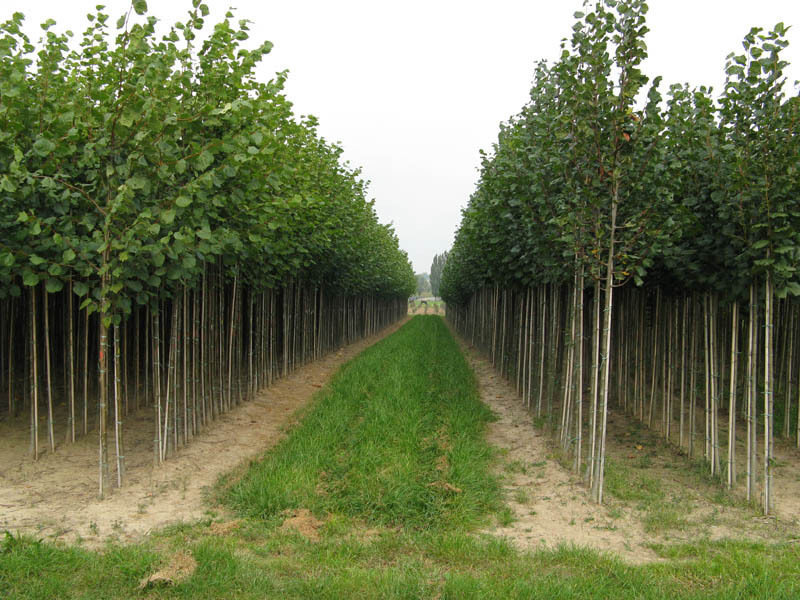 By continually extending the range of products we cultivate our nursery covering some 20 hectares and situated close to the Opheusden avenue tree centre (distance3 miles) has become a leading provider of products from our own stocks. See contact. 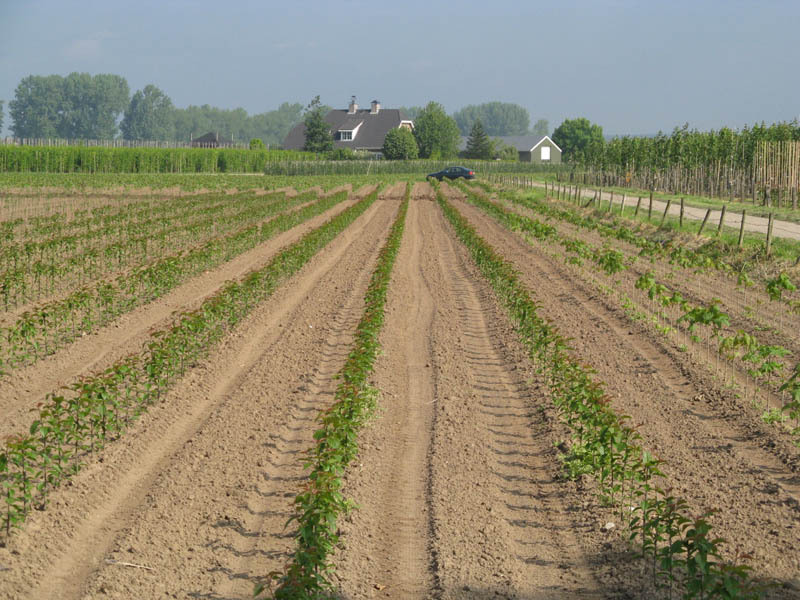 The type of soil of the plots varies from sandy clay to light clay soil. This enables us to plant every crop in the right type of soil. All plots can be sprinkled with surface water (in connection with the water temperature), an aspect important for constant growth. Each plot has received an A.M. (eelworm-free) declaration from the Phytopathology Service (Plantenziektekundige dienst). In relation to the environmental considerations the weed control is mainly carried out mechanically, keeping the chemical weed control to a minimum. Our company is affiliated to the NAK for horticulture (General Netherlands Inspection Service for Seeds of Field Crops and for Seed Potatoes). This organisation carries out regular checks on disease and inspects species authenticity. They are assisted by a number of permanent staff. 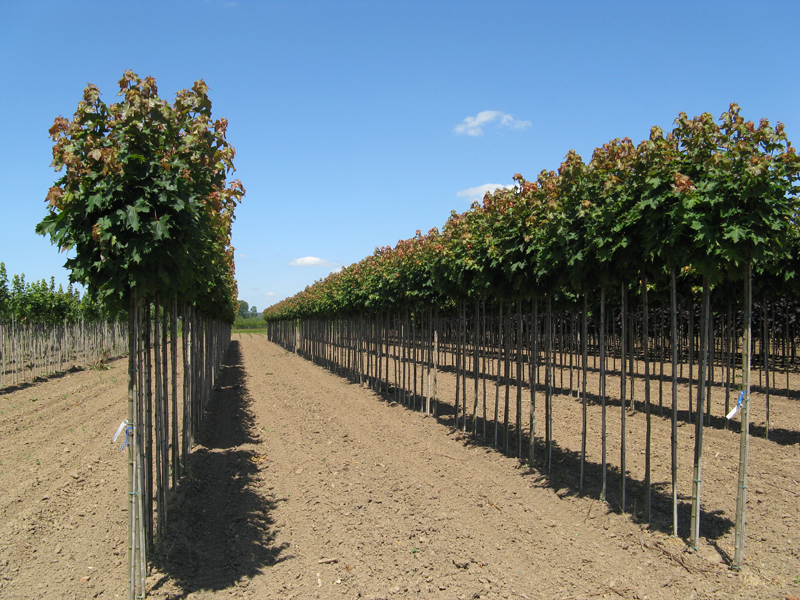 Every year we plant some 50,000 rootstocks, which are always supplied by regular rootstock cultivators. 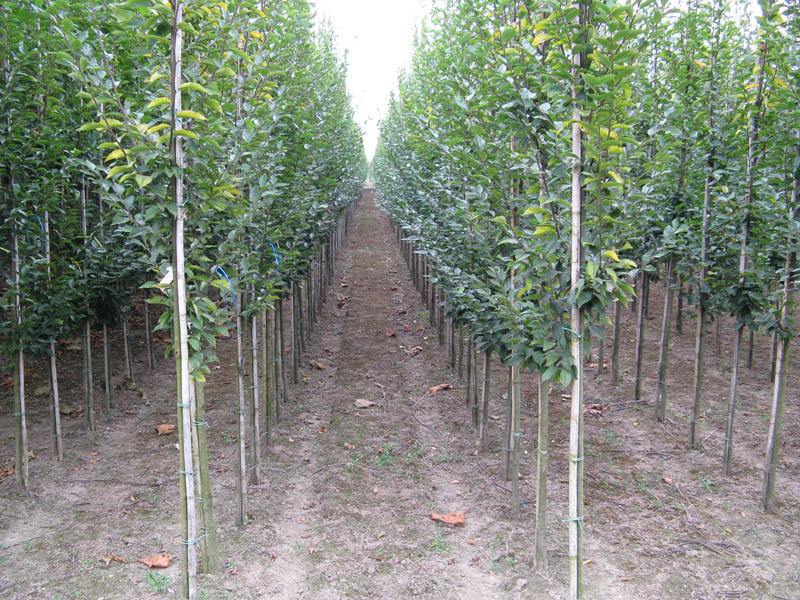 Activities like planting rootstocks, budding or grafting, placing stakes, pruning, digging up and sorting are only carried out by skilled employees. 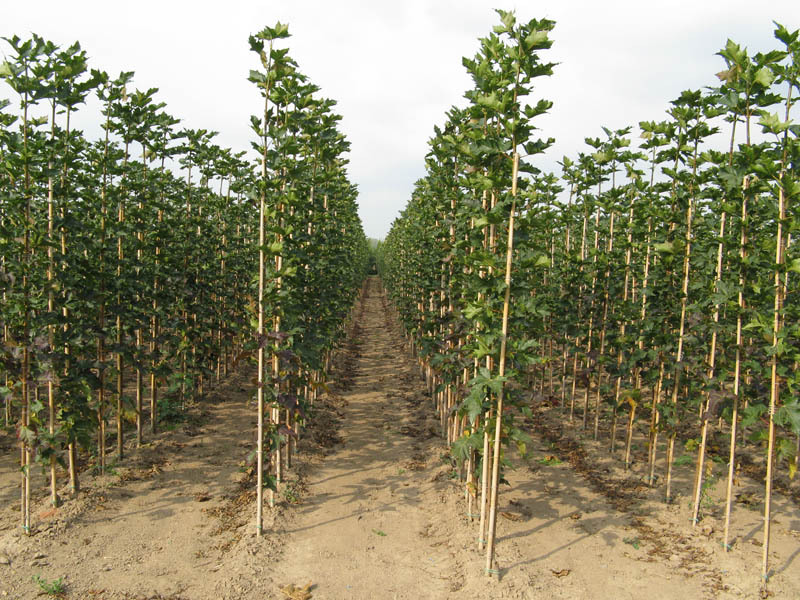 At the one-year grafting stage tonkincanes are mechanically put in to encourage upright growth. 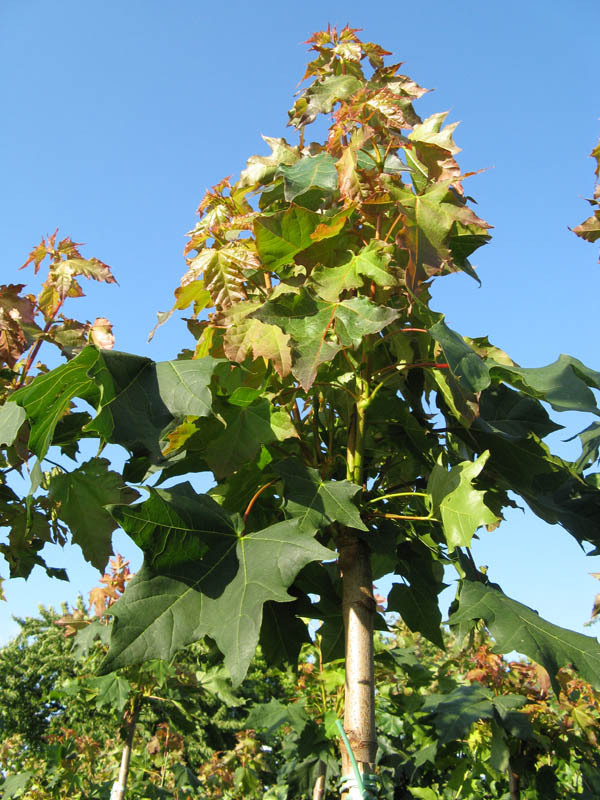 This forms the basis for a good tree, which then can grown further to 6-8-10-12-14 cm thick. 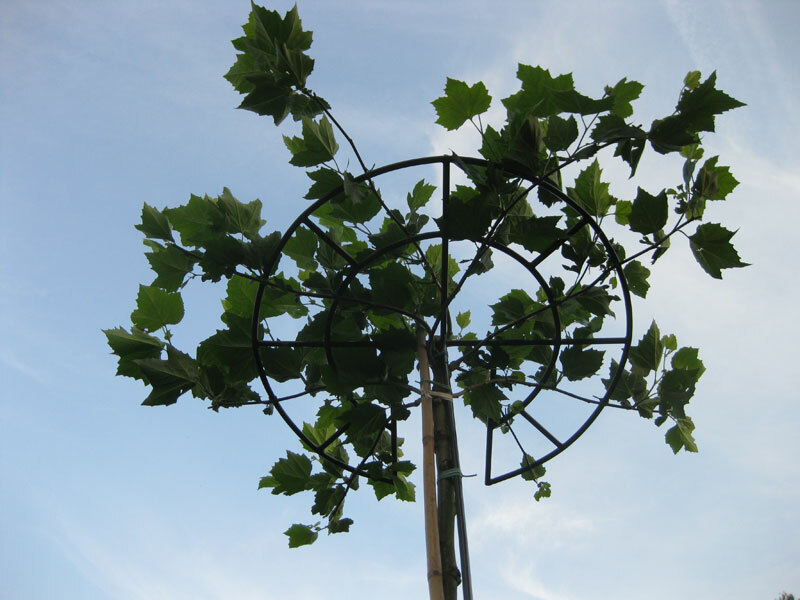 We also produce shaped trees of 10 to 16 cm thick in trained form and umbrella shape. We also have spherical trees in our assortment. Thanks in part to our experience and well-trained staff we are able to supply a high-quality product that our customers can then grow into a good end product. 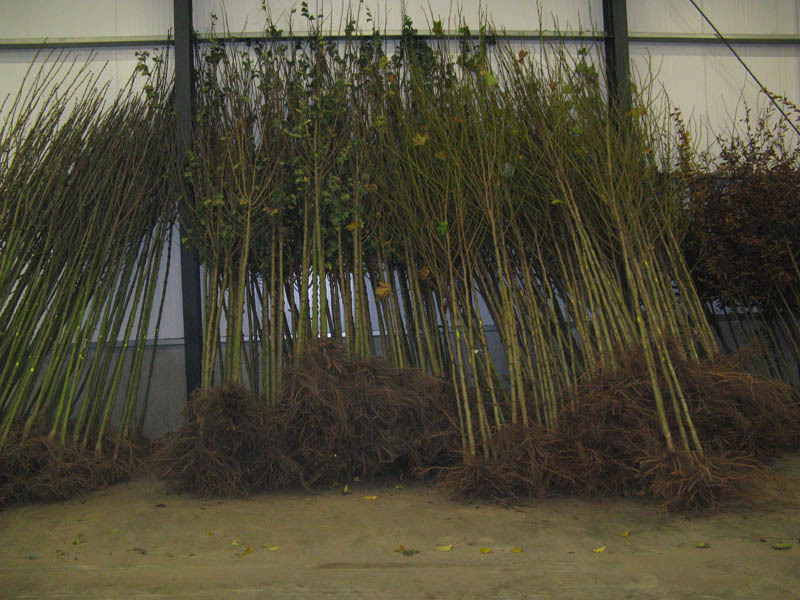 Our trees are uprooted carefully and made ready for dispatch. All our plots are within a 5-kilometre distance of nursery Roelofse-Jager, enabling a speedy delivery in the digging season. 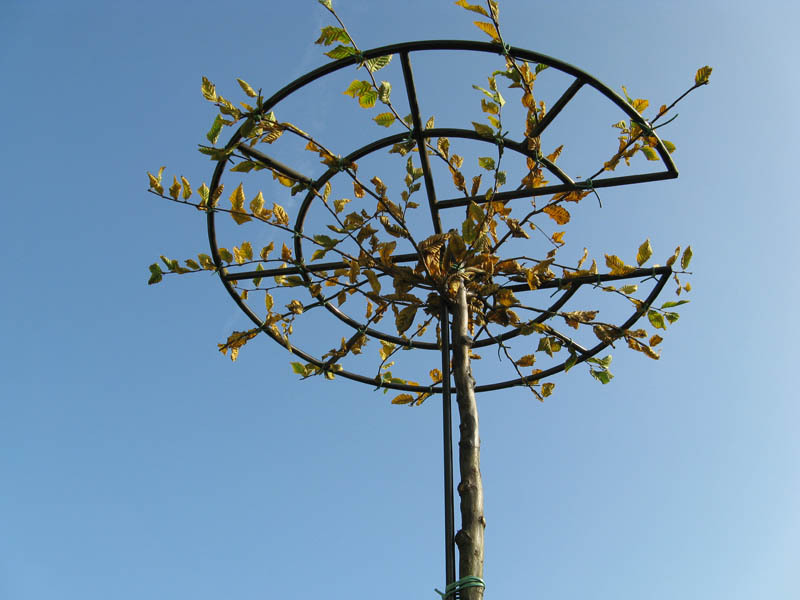 We give a first overview and insight in our nursery on our website. If you have any questions that this website cannot answer please don’t hesitate to contact us.